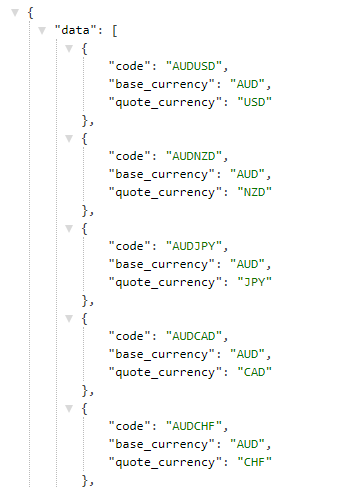 With Forex data from FXCM, you will have access to over 10 years of data for 39 currency pairs, including majors and exotics, via our REST API. Historical data is available at minute, hourly and daily intervals, making it possible to back-test your trading strategies. 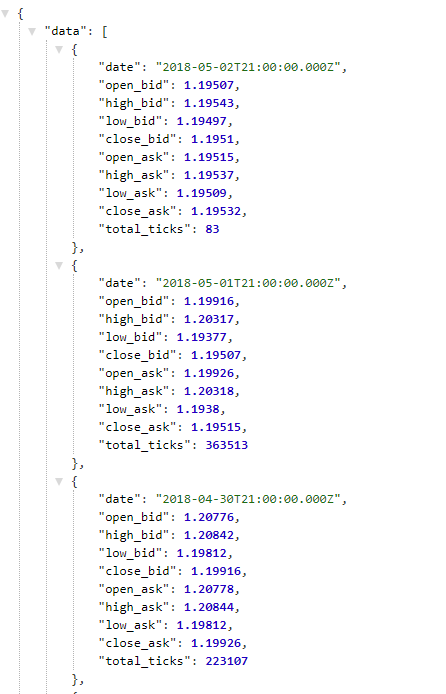 The data in this feed is market activity data, not sale data, so you will only see bids and asks. However, the spreads will be incredibly low, so you can always obtain the price by taking an average of the bid and ask at any time. 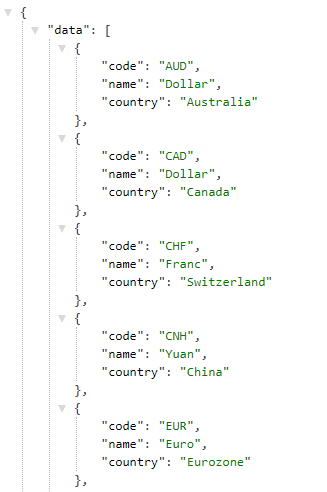 As you go through the below examples, make sure to have the formula builder open, here. That lists the endpoints discussed below, and clicking into each will help build out your syntax. As with all Intrinio data feeds, you can see the pricing plans that are available on each respective product page, under tab Pricing. You can also click the "Limits and Terms" link under the plan's price to view the terms and limits for each. The Individual plan does not allow you to redistribute this data, while the Redistribution plan does. If you have any additional questions about the FXCM Historical Forex Data Feed, feel free to chat with a member of our team and get started with Intrinio!